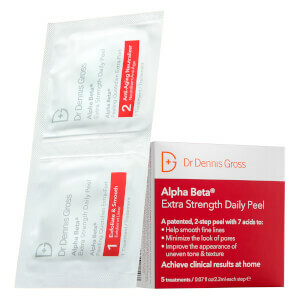 Improve skin tone and texture with the Dr Dennis Gross Skincare Alpha Beta Extra Strength Daily Peel; a powerful, two-step treatment that works to combat common concerns, including wrinkles, dark spots and visible pores. Easy and safe to use at home, the pre-soaked facial peel pads utilise Alpha and Beta Hydroxy Acids to exfoliate skin; decongesting clogged pores and diminishing dead skin cells to reveal a smoother, more refined complexion. Resveratrol provides antioxidant and anti-ageing properties to minimise the appearance of fine lines, whilst defending against environmental aggressors to leave skin looking radiant, healthy and comfortable with restored vitality. Increases absorption of following skincare products for maximum effect. 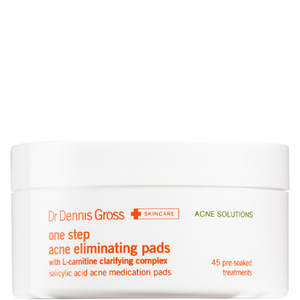 Once a day, apply step 1 pad to clean, dry skin, using circular motions. Continue application until pad feels dry. Wait two minutes. Follow with pad in step 2 using the same technique as step 1. Do not rinse after either step or use products containing alcohol. Morning or night use. Avoid contact with eyes. Make sure to use sunscreen daily to help prevent photo-ageing. Step 1: Water/Aqua/Eau, Alcohol Denat. 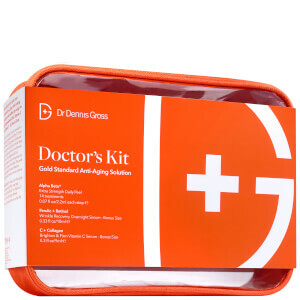 (SD Alcohol 40-B), Glycolic Acid, Potassium Hydroxide, Hamamelis Virginiana (Witch Hazel) Water, Salicylic Acid, Polysorbate 20, Lactic Acid, Mandelic Acid, Malic Acid, Citric Acid, Salix Alba (Willow) Bark Extract, Menthone Glycerin Acetal, Camellia Sinensis Leaf Extract, Achillea Millefolium Extract, Anthemis Nobilis (Chamomile) Flower Extract, Soy Isoflavones, Copper PCA, Zinc PCA, Lecithin, Disodium EDTA, Alcohol, Polysorbate 80, Fragrance (Parfum), Linalool, Benzyl Salicylate, Benzoic Acid, Phenoxyethanol, Sodium Benzoate. I love these pads. I don't feel they are too strong, they are just right. 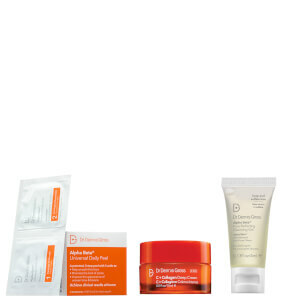 Help keep any acne at bay and freshen/radiate the skin. Re-order as soon as I run out.